As most of you know, brewery wastewater stinks. The short story is there are nutrients in wastewater, but usually insufficient oxygen to allow aerobic bacteria to grow. So a different type of bacteria thrives, called sulfate reducing bacteria. These bacteria utilize natural sulfate (SO4-) in the wastewater as their oxygen source, creating sulfides (SO2). The sulfides don’t oxidize in an anaerobic environment, instead they react with hydrogen to form hydrogen sulfide (H2S). The rotten egg smell. Or in beer terms, what light struck beer smells and tastes like. H2S is also insoluble, so it hangs out in the tank and pipe head space. But so what? Wastewater stinks, shouldn’t it? The big deal is above the water line in tanks and pipes, aerobic bacteria oxidize the H2S to create a weak sulfuric acid, H2SO4. Sulfuric acid eats mild steel. Things like bolts, rebar, chains, pump parts, ductile iron, cast iron, and structural steel… It will also eat the calcium carbonates in your concrete. This is starting to sound expensive, and it certainly can be. Plan ahead. Nightmare. This is at a brewpub near me. They had to tear out the slab in their brewery and replace the below grade piping due to H2S corrosion. See this post for more. What to do without going overboard? 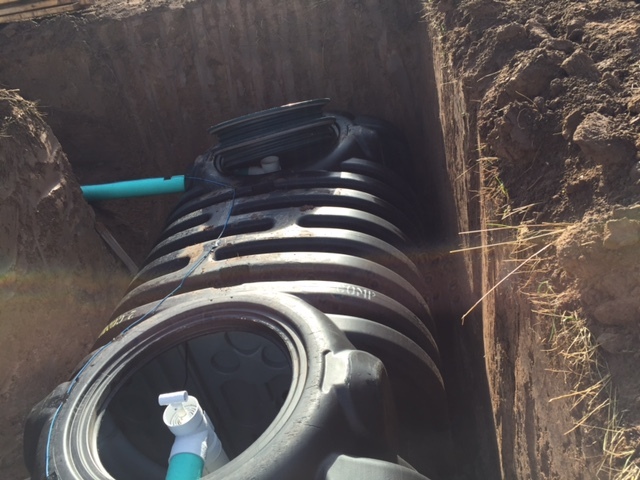 Any concrete tank should have a liner installed, even that little pump station at the end of your trench drain. The liner doesn’t need to be fancy, it can be epoxy, or urethane, rated for immersion in water. Coal tar epoxy is a cheap option, but fumey, nasty, and no fun to work with. 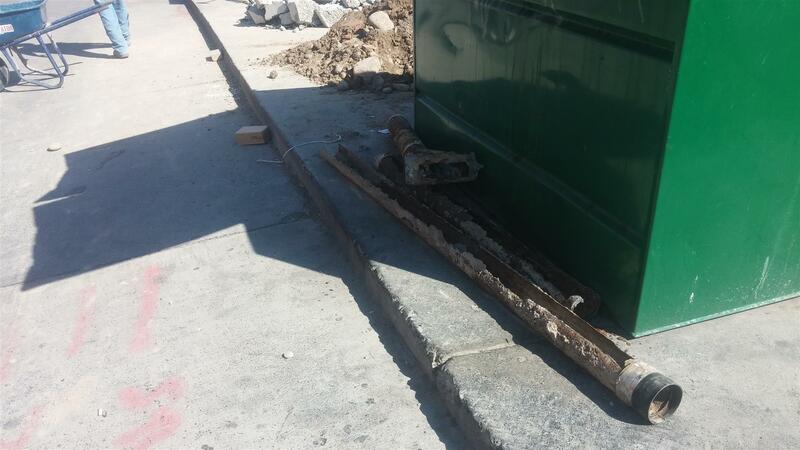 A good liner will protect your concrete and your rebar. Equipment in a wastewater tank should be plastic or stainless steel. Period. This includes all bolts, fasteners, pipes, and pump components. Above ground, a plastic or stainless steel tank is great. Below grade, as much as I hate to say it, stick with concrete. Plastic tanks below grade are not advised for a brewery due to high water temperatures. What about your pipes? Stainless is always the best choice. But let’s be realistic, it’s wastewater and will never be seen, most people don’t want to pay to put in stainless piping below grade. CPVC is a good option, solid core ABS plastic is also a good choice. Is the odor causing you a problem beyond the underground? Wastewater tanks or vents near the public can get an activated carbon filter, or even a biofilter. Carbon filters can be small or big, they’re easy but the costs can rack up since the carbon can only absorb so much. Also water vapor condensate can saturate the filter. There are no great odor controls options that I’m aware of yet, just like life, there are tradeoffs. Back from the beyond! My first new post to this site in about a year. I’m still here doing what I do, but I have been really busy with all of this brewery work. It’s good to have some time to catch my breath and get back to this website.